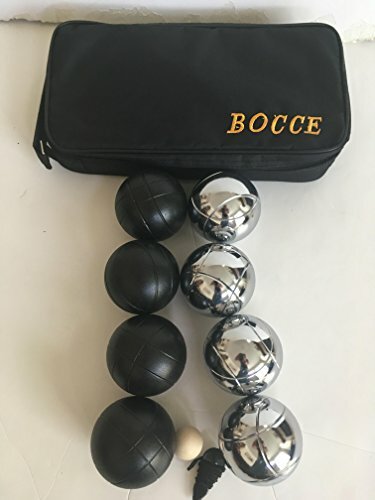 Bocce/Petanque set includes 4 black balls, 4 silver balls, a black bag, a wooden jack and a basic measuring device. Harvil 100mm Bocce Ball Set. Includes 8 Poly-Resin Balls, 1 Pallino, 1 Nylon Zip-Up Carrying Case and Measuring Rope.